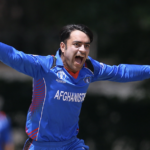 Rashid Khan will aim to inspire Afghanistan as they adopt a no-fear approach during their World Cup campaign. 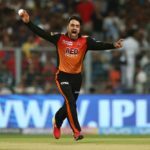 The current No 1 T20I bowler in the world, Rashid Khan, is set to ignite the Durban Heat when he lands on South African shores for the inaugural Mzansi Super League starting on Friday, 16 November. 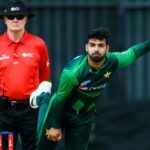 Following their clean sweep in the T20I series against Australia, Pakistan remains top of the ICC T20I rankings, but it’s the player rankings that make for interesting reading. 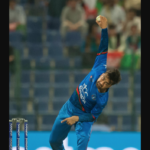 Following a blistering performance in the Asia Cup, Rashid Khan has risen to No 1 in the ICC ODI all-rounder rankings. 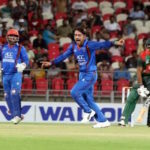 Rashid Khan, who celebrates his 20th birthday today, helped Afghanistan to a mammoth 136-run victory over Bangladesh in their inconsequential Group B Asia Cup fixture. 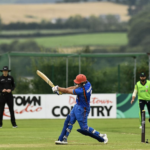 Afghanistan’s 20-year-old Hazratullah Zazai slams 74 off 33 balls in 16-run win. 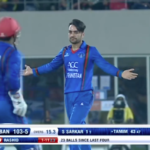 Highlights of the second T20I between Bangladesh and Afghanistan which saw Rashid Khan take four wickets to help set up a six-wicket win. 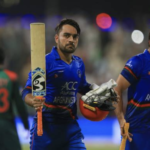 Rashid Khan continued his incredible IPL form to bag four wickets in a six-wicket victory over Bangladesh on Tuesday to seal a historic T20I series win. 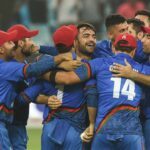 Afghanistan began their historic tour of the sub-continent with a crushing 45-run win over Bangladesh in the first of three T20s. 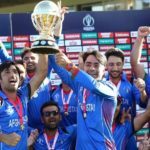 Rashid Khan was Man of the Match as he drove his side into Sunday’s final with an all-round brilliant display of cricketing expertise. 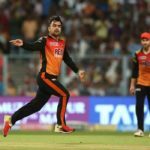 Rashid Khan’s 3-19 tore the heart out of the KKR innings, paving the way for Sunrisers Hyderabad to stride through to Sunday’s final. 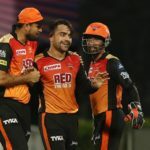 Table-toppers Sunrisers Hyderabad dispatched the Kolkata Knight Riders to win by 13 runs off the back of a sensational performance by Rashid Khan. 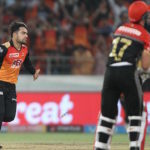 Rashid Khan’s dismissal of AB de Villiers in the Sunrisers Hyderabad’s five-run win against the Royal Challengers Bangalore is our Play of the Day. 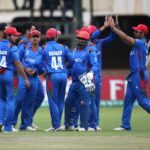 Afghanistan rounded off a wonderful World Cup qualifying tournament by beating the West Indies in the ceremonial final in Harare.